AC & DC Drive Testing & Repairing Centre. Service Room for All kind of testing Of Electricals & Electronics Component. 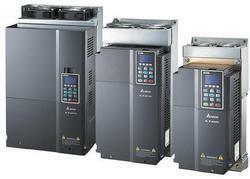 Blendovat all PCBs, LENZE Drives, PLCs etc. Blowroom line KSZ3 PCBs, Keba Panel, Siemens-S5/135 etc. Baumuller Drives of DK 740/760/803/903 Carding machine, Pressure Transducers, PCBs etc. HSR 900/1000 Bosch Drives, ZPB 1/2/3 PCBs etc.